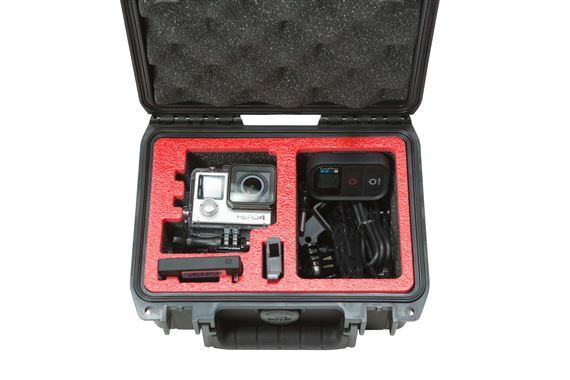 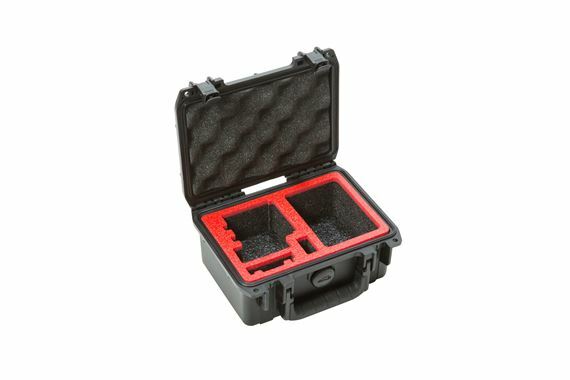 Shop SKB iSeries 3i07053GP1 Waterproof Single GoPro Case from AMS and enjoy Fast & Free Shipping. 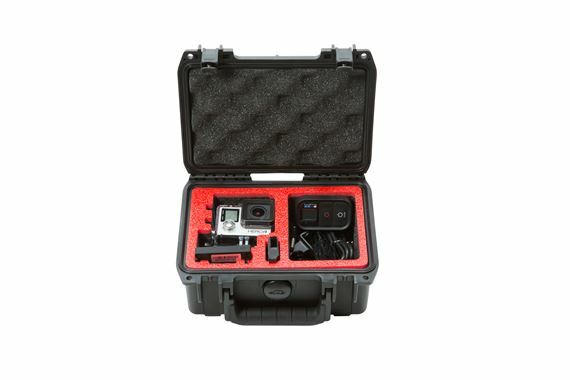 The 3i-0705-3GP1 features a custom cut foam interior that will accommodate any generation of a GoPro camera up to the Hero 4 version and includes a storage compartment for accessories as well as slots for batteries. 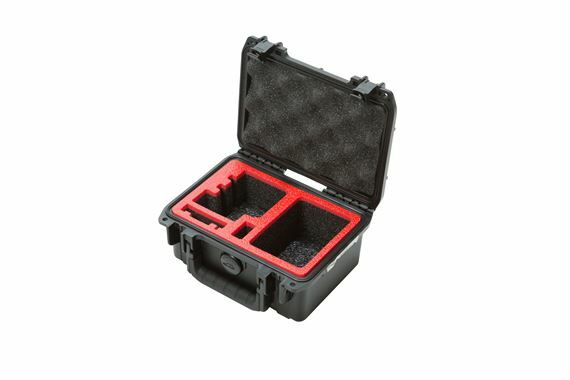 The foam interior is constructed of a high quality Stratocell foam with a contrasting red capped foam. 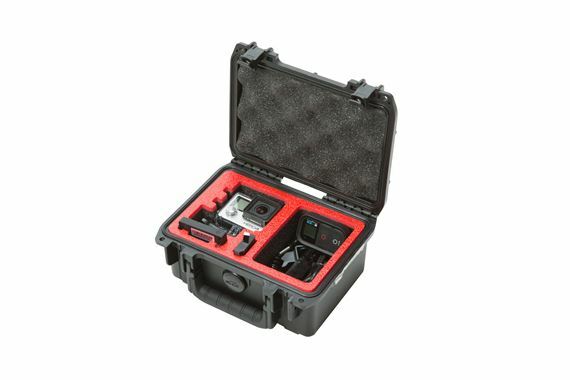 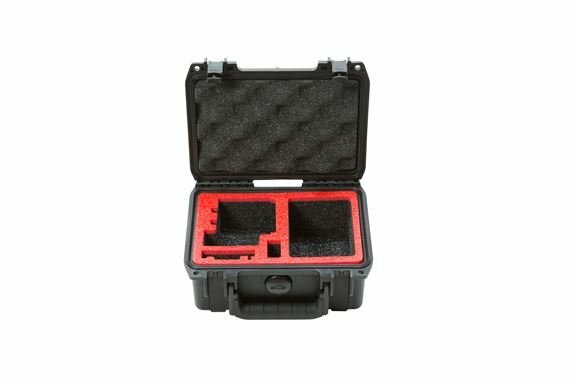 iSeries injection molded waterproof cases are constructed of ultra-high-strength polypropylene copolymer resin and feature a gasketed, waterproof and airtight, submersible design (IP67) that is resistant to corrosion and impact damage. 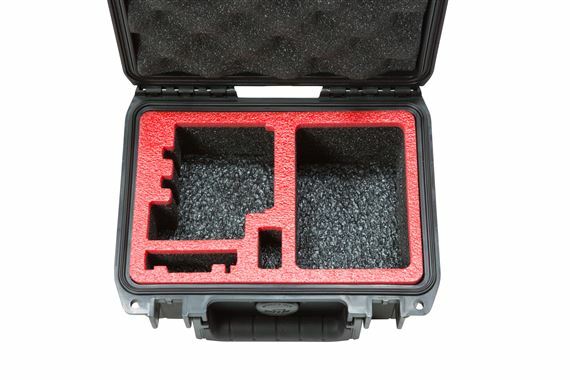 Its molded-in hinges, patent pending " mini trigger release" latch system, comfortable, snap-down rubber over-molded cushion grip handle, secure stacking, and automatic ambient pressure equalization valve (MIL-STD-648C) all contribute to its military grade design.